“What good is it?” I began to ask of myself about the articles I was reading, and the news stories I listened to on the radio in the weeks that followed. Is this helping? Does this empower me to respond? There's a fine line between being aware of what's going on in the world on the one hand, and traumatizing oneself into inaction on the other. All too often, we unwittingly consume media that feeds the growth of fear, despair, and even denial in us, instead of fostering a response of intelligent and practical action. Spikenard Farm Honeybee Sanctuary, featured in the very documentary, Queen of the Sun, that I left early last year, developed a healing bee tea recipe. They credit it, in part, to honey bee losses of only 5-10% over the past decade, a real achievement when compared to average bee losses of 33% nationwide over the same time frame. Making tea for the bees. What other crazy, wonderful things will we do for love? "Where there is no love, put love, and there you will find love." The world we've been waiting for is waiting for us. Thank you dear sister. Sheila D. in writing the final report for grantee The Women and Children Project spoke eloquently about the fact that sometimes the only thing one can do in the face of great suffering is make a cup of tea. Keep on keeping on sister. Excellent writing. I'm sending this on to several beekeeping friends, including Gunther Hauk, though the real lesson is for us all. I am printing this post and taking it with to a program that the Mercy Center locally is holding entitled Awakening the Dreamer -- a symposium by Pachamama Alliance. So we will bring your reflection into ours. Anna, your love flows through your writing and is like tea for the bees. Thank you for the inspiring words. So eloquently put Anna. "Nature's litury" - that phrase alone makes the whole post worthy. Now I ask myself, 'What are you waiting for -- get moving!' Thank you for that much needed inspiration and reminder that nature is not separate from man. Man is part of nature, too. 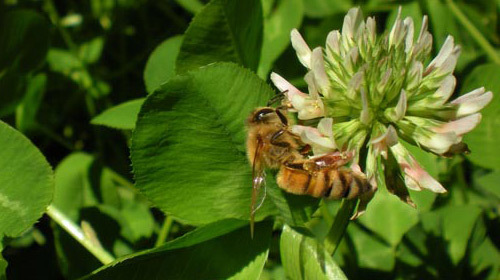 Thank you so much for your blog on Tea for Bees and the mention of Spikenard Farm Honeybee Sanctuary and our Bee Tea! It is very much appreciated!!!! Blessings to you!